We call this our ‘champagne’ eftpos gift card. For a few reasons: 1. It’s covered in golden bubbles. 2. It’s designed for celebrations of all kinds. 3. You can buy champagne with it. In fact, you can buy almost anything you want with it (card funds permitting). Now, we don’t want to be presumptuous, but there are more people on this planet that enjoy having a little extra spending money than there are that enjoy wine. We don’t want to be sceptical, but money is also more versatile than wine. You can’t use wine to pay for petrol or a new pair of shoes. 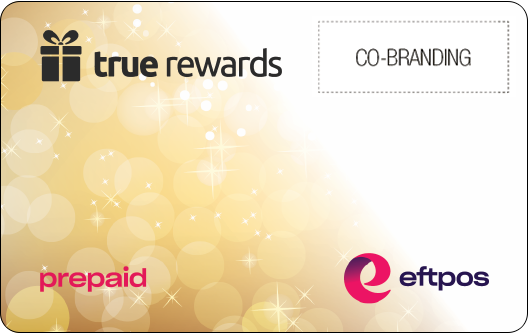 So, give them the gift they’re sure to love (and use): reward your staff, your competition winners, your most loyal customers with an eftpos gift card.